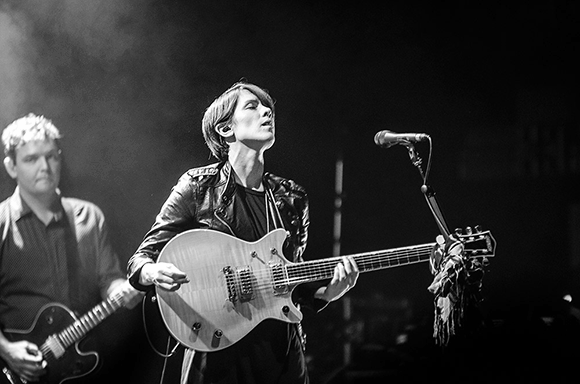 Internationally acclaimed, award-winning indie twins Tegan And Sara come to The Wiltern on Thursday 29th September 2016 for a night of charming synthpop that will have you dancing like there's no tomorrow! The Canadian duo will be stopping all across the US before embarking on an extensive global tour in support of their new album, Love You To Death! Canadian indiepop band Tegan and Sara was formed by identical twin sisters Tegan Rain Quin and Sara Keirsten Quin in Calgary, Alberta in 1995. The sisters were fifteen years old when they formed their first band, Plunk. Five years later they had recorded two demo albums in their school's recording studio (Who's in Your Band? And Play Day), three professional demos (Yellow tape, Orange tape and Red tape) and they released their debut album independently under the name "Sara and Tegan" (Under Feet Like Ours) that year. To date, Tegan and Sara have released nine studio albums and their tenth studio album, Love You To Death, is due for release on June 3 2016.